THE PACIFICS ARE GOING GREEN! Bellam Self Storage, Marin Clean Energy, Marin Sanitary Service, and the City of San Rafael are partnering with The Pacifics to help them become the greenest team in the Minor Leagues! Almost everything you buy at the concessions stands can be put in either the compost or recycling. This means less stuff going to the landfill! The waste area is being updated to make things easier for you when you need to throw something away. Look for new signs showing you exactly what can be recycled and composted, and ask a volunteer for help if you need it. The Pacifics are launching a campaign to combat waste and litter in the ballpark and in the community. Show your support and get your free wristband by taking the pledge! Look for No Litter in Baseball volunteers at home games for more information! The San Rafael Pacifics’ commitment to their community is evident in their approach to recycling and waste. Last season, they realized they had a problem: the recyclables weren’t going where they are supposed to and the trash was overflowing. The Pacifics game day staff came up with several innovative solutions, like collecting trash during the 7th Inning Stretch, but they didn’t stop there. 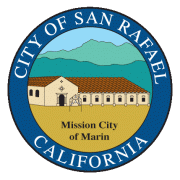 With the help of partners Bellam Self Storage, Marin Clean Energy, Marin Sanitary Service, and the City of San Rafael, The Pacifics have formed a Green Team to continue their waste-reduction efforts. Signage will be improved at both trash areas, turning them into “education stations.” Recognizing that it all starts with purchasing, The Pacifics are also working to ensure that all disposable foodware they purchase is either recyclable or compostable. “We want to remind fans of the importance of recycling and give them an easy way to properly dispose of their waste,” says Jennifer Clark, the director of business and community relations. Read our article in FastForward! Read our feature in The San Rafael Snapshot Newsletter! Read our article in The News Pointer!